How an App Startup Differs from other Businesses? While most pitching and fundraising rules are often common to all business and industry verticals, there are always some striking differences that are specific to the niche concerned. In that sense, the app development market has its own idiosyncrasies too, when compared to other businesses. Once an app-business has developed its application, it immediately becomes privy to shelf space on App Store or Play Store. This is unlike any other business, where one actually needs some kind of funding to exist or be listed in the marketplace. However, contrary to layman perception, this mere listing of the app doesn’t imply that the underlying business’s revenue ball is rolling. Why You Need an App Startup Funding? 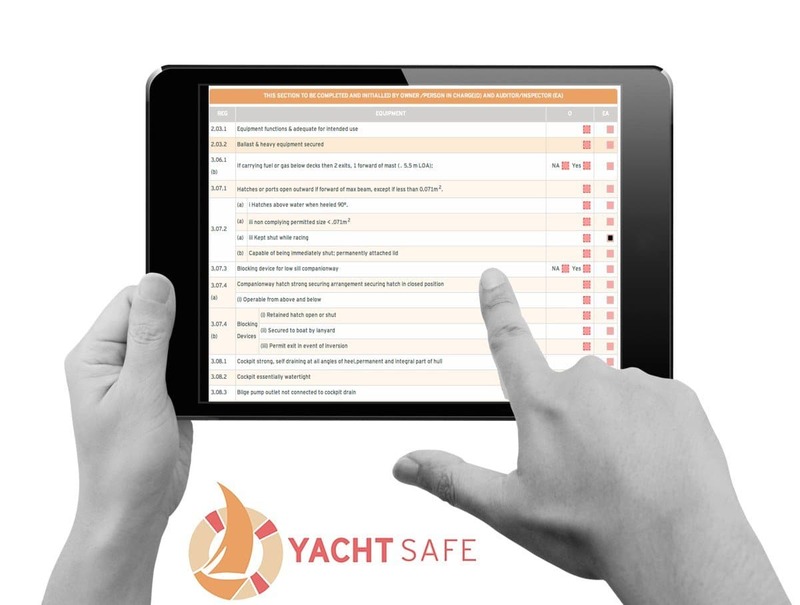 It is after developing and listing the beta version, that the app-business comes into existence. The more important part of being discovered and effectively demanded by potential customers remains unaccomplished just yet. Right at this point, the role of a good amount of funds becomes paramount in navigating potential buyers towards discovering the app and getting them to hit download and pay for it. In addition, funds are needed to maintain good customer service and also invest in R&D, so as to ensure that the business maintains its competitive advantage at all times. This part is most often the pain point of majority app-based businesses – being unable to invigorate their business application with some real revenue and scaling up across all the relevant target markets. If you are an ambitious founder stuck right here, desiring to raise funds from an investor to take off your app-business, you’ve arrived at the right resource. 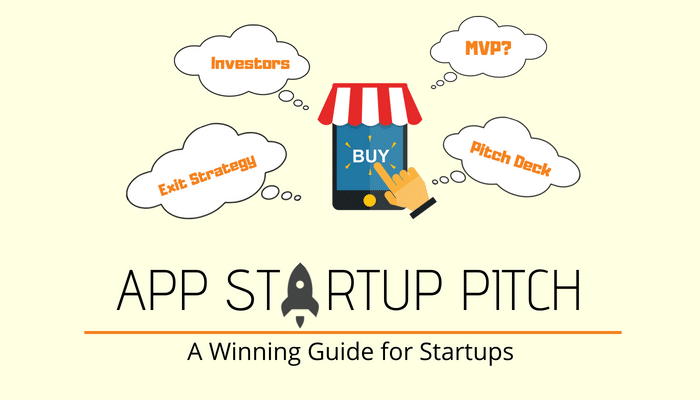 The central idea behind making a pitch for your app-business is getting an investor to fund you. Convincing them to believe in your plan and getting them to part with large sums is obviously not going to be a cakewalk. However, it’s not that hard when approached right. In order to create a meaningful pitch, you need to step into the shoes of the investor & start looking through his perspective. Depending upon the type of application your business has, you can simply think of the possible concerns of your investors and prepare your pitch accordingly. This always puts you in a better place to tailor your story to something that is both attention-grabbing and convincing. There are three aspects to an investor’s psychology, in terms of what they are looking for in your pitch. The first thing you need to realize here is that, at any time, you are battling with many fellow founders for the investor’s attention. 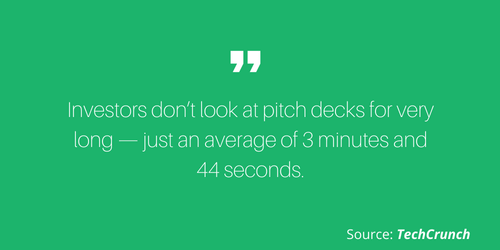 This means that your pitch needs to stand out and be compelling enough. A storytelling approach is known to intrigue more than delivering an endless list of facts. An investor is no exception to this. A good story has a character (the customer persona you are targeting), the problems faced by that character, and a solution stating how your app will solve his problem. Evoking emotions, empathy and connection in the investors is the main goal of storytelling. You can personalise this further by introducing a name, age, gender, location and occupation of the character. The storytelling is the step where you can tap into the investor’s emotions and bring out their positive feels about your app idea. Once you have the attention of the investor, next, you need to demonstrate ‘clarity‘ to retain that attention and encourage them to get interested further. It has been observed that the investors often find most of the founders lacking crystal clarity with what they’re trying to achieve after their app goes live. In such cases, the future of the pitch is bleak. In order to avoid a mistake like that, you can refer the flow of a good elevator pitch for your own clarity. Know your why. Lastly, they want to know how exactly they’ll benefit and the quantum of benefit they can expect by investing in you and your startup app idea. For that, they examine your idea, your seriousness towards it and the practicality of your entire proposal. If your pitch covers these aspects meaningfully, the odds of being funded definitely get skewed in your favour. Now, after understanding the intricacies of an investor’s mind and the skills you need to build, next comes preparing a strategic and well-structured pitch. For any app-based startup, one of the most important and crucial places, to begin with, is, by creating a prototype. Investing in an MVP actually helps investors to visualise how exactly you’ll solve the real problems of your customers. It is better than saying that ‘I believe I can solve their problem’. 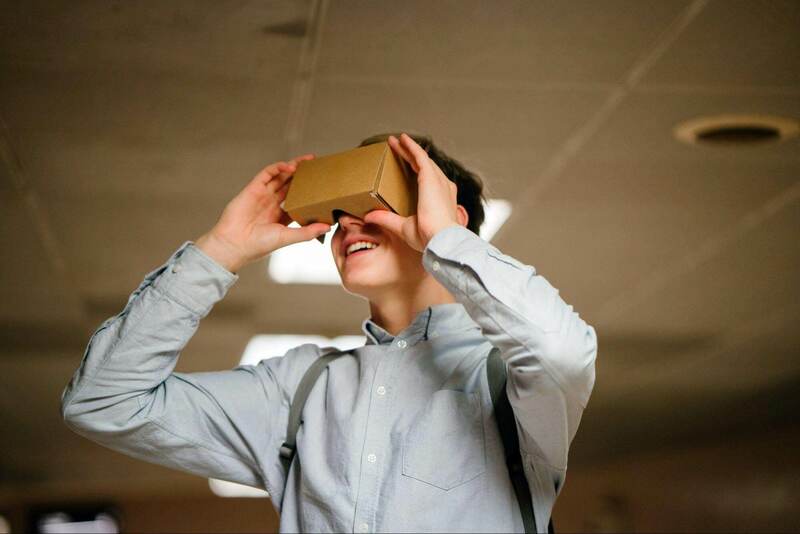 Instead, through an MVP, show them a living proof that your idea works. So never question the need for building an MVP for your app startup idea. Often, little knowledge of calculating the initial cost of building an MVP leads many founders to go ahead without creating one. However, it’s important to realize that an MVP, helps you to save money, time and resources by validating your app idea. Once you have built an app MVP, then comes the part of preparing a powerful pitch deck and an impressive presentation. A pitch deck is essentially the presentation you make in order to provide a quick overview of your business plan. Additionally, its purpose can be to build a good support reference while walking any investor through your compelling story. Hence your deck should be completely supportive of this limited time and must stand out among the many pitch decks investors go through every day. A good pitch deck usually has 10-15 slides. I personally feel 10 slides strike that perfect balance of engagement and information in the pitch deck. 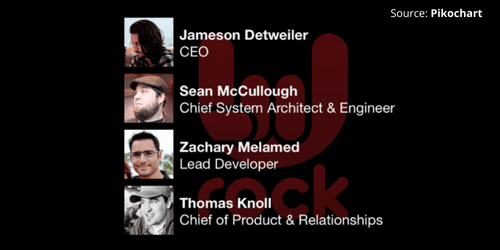 I have been in the app development industry for a long time now. In this period I have bumped into many entrepreneurs who struggle with creating the perfect pitch deck for their startup idea, each one having this one burning question: How to make a killer pitch deck? In order to make an impact and to garner initial attention from the investor, you must make an effort to indicate that your company is one that’s guided by a real vision and a purpose. 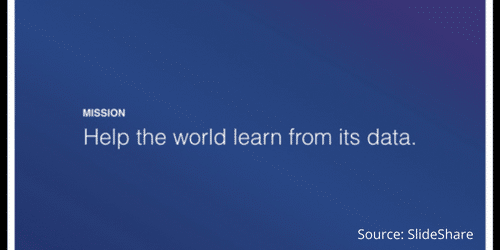 After all, the most valuable companies globally have a well-defined purpose. The purpose you define can also be a single sentence you start with, but it’s extremely important to have it well-thought. However, you must be careful to avoid the mistake of getting into your app’s functionality and features instead of pointing towards a bigger mission. To cite a good example, founders of Mixpanel, an advanced analytics platform that helps businesses acquire, retain & engage customers, started out with their pitch outlining their real mission before delving into their product technicalities. You may express the broader goal of your app similarly. Businesses can thrive only when they’re solving a real problem. 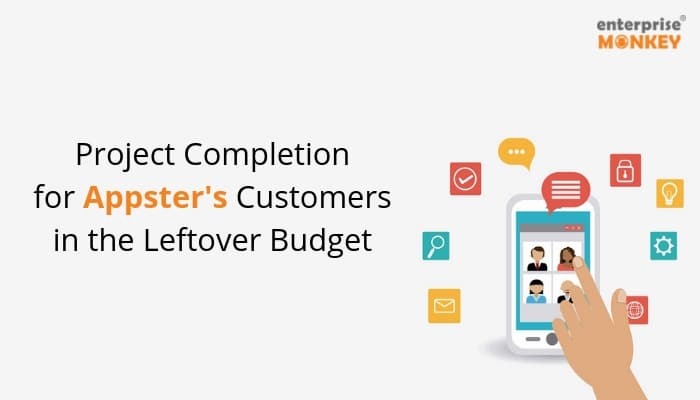 Investors clearly recognize that no customer is going to spend their money unless they’re experiencing a significantly useful solution with your app. Great decks always communicate how the b-plan revolves around solving a potential customer’s pain. Hence, you must explain the real problem you are attempting to tackle with your app. 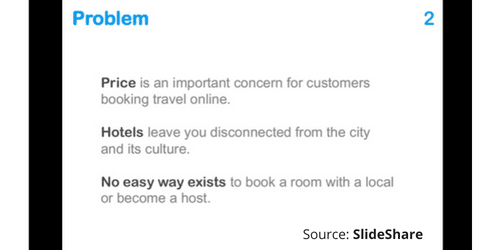 If we visit the iconic Airbnb pitch deck, their expression of the problem statement can be seen as extremely well articulated, even though their business idea majorly defied the prevailing convention around hospitality at its time. Once you’ve brought up the problem, the next step is to highlight how exactly your app will solve that problem. This is that part of the pitch where your unique value proposition or your USP comes into play. You can begin by acknowledging the earlier solutions to the same problem. However, your thrust should be on highlighting why your app is the most compelling solution and how it is different from the others. Continuing with the Airbnb example, post defining the problem with costly accommodation and the extremely commercialized feeling of staying in hotels, they brought out a very succinct expression of their solution. You must approach the solution with your app-business idea in a similar meaningful fashion. After outlining the problem and the solution, it’s also essential for you to justify that stepping into the market at this moment is the optimal time. Business is often all about making use of the right entry timing to one’s advantage. Entering the market too early or too late doesn’t work out in terms of converting an opportunity into a meaningful business. 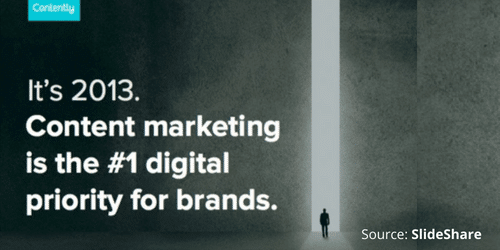 Contently, a market leader in helping businesses with their content marketing execution in a strategic manner, proved in a very simple, yet smart way that it had arrived in the market, just at the right time when content marketing had penetrated well into the digital marketing landscape. This part is extremely critical for convincing the investor that your app idea does have a real monetization potential. Realistically, no matter how pressing a problem your app solves, a real business can’t exist without a good number of paying customers. You must approach this part with a clearly defined target market for your app startup. Do not advocate here that your product is meant for everyone. You must always have a laser targeted audience in mind. 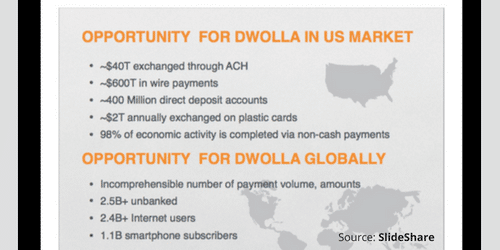 Illustrated below is a good market potential estimate from payment solution Dwolla, lifted from that very deck which helped its founders convert funding worth 16.5 million dollars. This part should not be about sharing resume like details of the core team, but bring out that the team is well equipped with the core expertise needed to run the show for your app-based business. Investors might want some assurance that your app business is associated closely with a reliable person having a technical background in addition to a business visionary and a marketing expert since these are the core skills needed to successfully run an app business. If you have some great mentors and advisors with relevant experience in your business field, this is a great place to show it off and win some extra points. 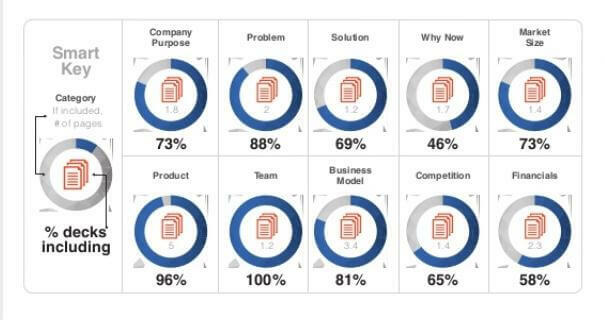 Here is the ‘About Team’ slide from the pitch deck of Launchrock, a website building company that helps entrepreneurs launch their business and acquire customers. Each member here is specialised in a field that is required for the growth of their company and their idea. Thus, they assure the investors that they have the resources to take care of their app idea as the company grows. This part is one that matters the most and consumes the maximum attention of an investor. Here you should extend your business model with the supporting estimated financials. While it’s true that investors want unicorns, you shouldn’t project extremely optimistic and unrealistic numbers that are not credible. Use pictorial representation like charts, diagrams and graphs to show the number of customers you are targeting, the sales, expenses and profits. Throw in some relevant KPIs for an app-based business such as churn rate, Cost Of Acquisition (CAC), Customer Life Time Value (LTV) etc. Without the numbers, you will not be taken seriously. 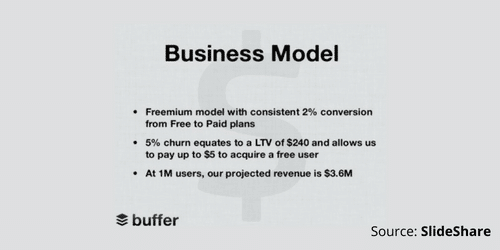 Buffer, an intuitive social media management tool that helps marketers drive social media results raised half a million dollars with its deck by bringing out well thought out financial estimates along with its business model. Their numbers looked both lucrative and meaningful. The competition slide is important for showing off how you handle the same problem that your competition does, in an innovative way. Mention the advantages you have over your competitors and how the customers will benefit more from your solution. Enlist and explain the tactics you will apply for gaining new customers. Also, mention the sales channels you are planning to utilise while reaching your customers. A well-planned marketing strategy means reaching more people in less time and in the most economical way. The purpose of a concluding slide should be to communicate and justify the exact quantum of investment you’re seeking to raise in order to achieve everything you’ve spoken about till now. Once you’ve walked them through the entire plan, mention clearly how much investment you want and reiterate how you plan to use it. While it is essential to have a broad overview of the investment you need, keep a detailed documentation of the business plan ready in hand. While the intent and content is the most important part of any deck, it’s also advisable to brush up on its aesthetics and presentation. You must be careful to consistently format, use a good template, and include meaningful graphics. You may also add a footnote indicating the content is confidential and proprietary. Sometimes small detailing can make a big psychological difference. Once you have your deck ready, you must also prepare extremely well to make the human element of your presentation compelling, after all, it’s ultimately about conversing and convincing another human. The human touch is a vital part of the pitch, and its relevance cannot be understated, even with an extremely powerful deck. This is best explained by a classic example. We thought Airbnb was a bad idea. We funded it because we really liked the founders. They seemed so determined and so imaginative. Focusing on them saved us from our own stupidity. In order to actually like somebody, first impressions play a significant role, and hence basic courtesy like greeting with a smile and firm handshake should not be forgotten. While you present your ideas, you must also ensure that your behaviour reflects your real passion. With the desired amount of eye contact, you can bring out your own confidence with your plans, which will help the investor feel comfortable in trusting you. 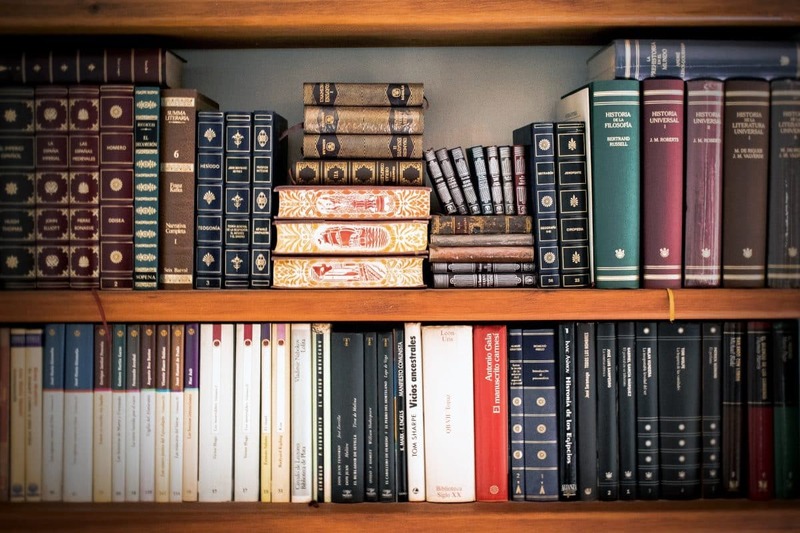 Goes without saying, you must be extremely well prepared with everything you have to speak and also with answers to probable questions you may be asked. Investors spend their time and money on startups and founders only to gain a higher and faster ROI than what any lucrative traditional financial investment can provide them with. Your pitch needs to cater to that. The most sought-after exit option for investors is usually through an IPO, where the company sells its ownership to the public in the form of shares. This is highly beneficial for investors due to the liquidity and returns it can provide and hence most preferred. However, going public with the company ownership is neither very easy nor common. In addition, it also depends on industry sentiment factors such as economic cycles and you must be careful to consider all these before recommending it as an exit option for your app-startup. The next common exit strategy is the merger, wherein two existing companies unite into one with a common goal. If you plan to propose this exit method, you must ensure your plans are motivated by the right reasons for recommending such as desiring a bigger market share, expanding one’s reach or even tapping into new related segments. The third popular exit strategy is by means of acquisitions. With this exit option, a bigger company buys out all the assets of the acquired company and assumes full control over it. Acquisitions may be in the form of a buyout with cash, or by acquiring the company’s stocks or a combination of both. Common motivations behind this usually include taking over intellectual property, existing talent pool or capture the acquired company’s market share. While the above three are most popular and simply suggestive, you must carefully explore all requisite options pertaining to your specific business and think through all the relevant details about the exit options you propose. However, under no circumstances should you make the mistake of overlooking this critical part in your pitch, as this is the premise on which the entire funding exercise rests. It’s natural if you are feeling overwhelmed about approaching an investor for funds in order to skyrocket your app business. Funds for an app startup are a must to gather the ability to acquire the right people interested in downloading it and also convert them to turn into paying customers. In addition, finance can be needed to maintain the loyal customers with prompt customer service and focus on R&D. Keeping these above points in mind you can definitely create an indelible impact on your investors and put an impressive foot forward!